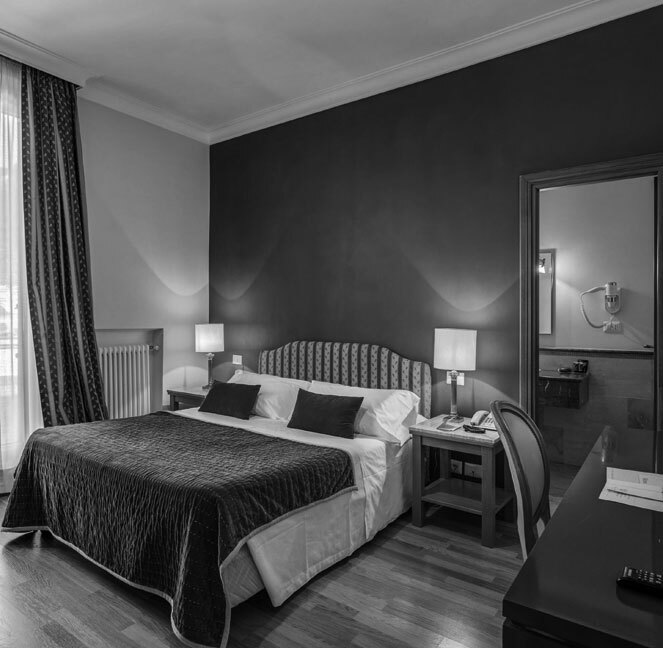 Within the relaxing and refined setting of the Hotel Clodio's red brick walls, you'll not only reside in a historical building but you'll note our four star hospitality complements the fine interior decor. 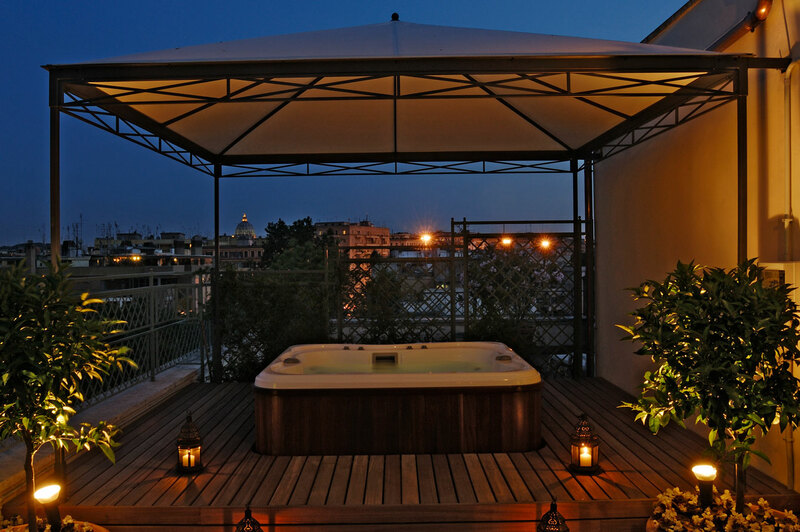 You can enjoy our breathtaking terrace with an outstanding view over the eternal city's skyline. 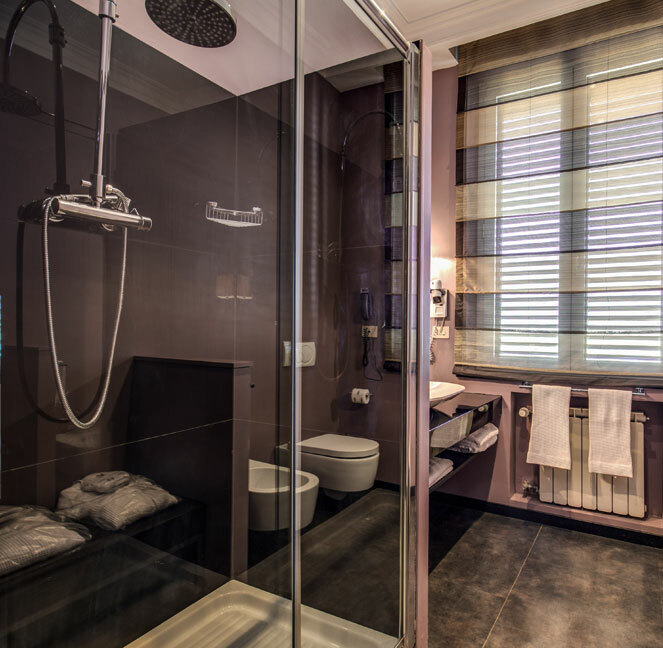 Our conference and banqueting facilities also offer an additional feature of the Hotel Clodio luxury accommodation in Rome. The catering is healthy and it is taken care of by our in-house restaurant team. 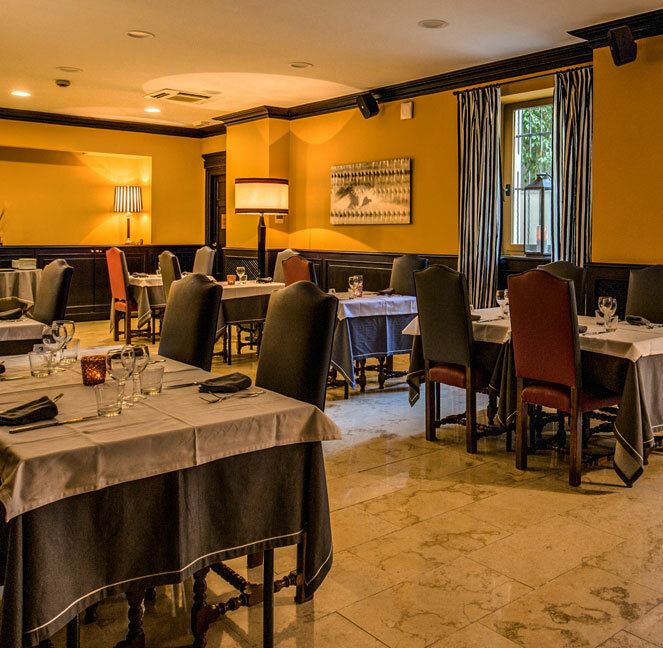 The Four star Hotel Clodio Roma in-house restaurant "La Tradizione" proudly presents classical Roman cuisine for lunch and dinner in a charming and refined setting. Ideal for entertaining, guests can try the most popular traditional dishes for which Italy is famous: Spaghetti Carbonara, Mezze Maniche all'Amatriciana and Tagliolini Cacio e Pepe. 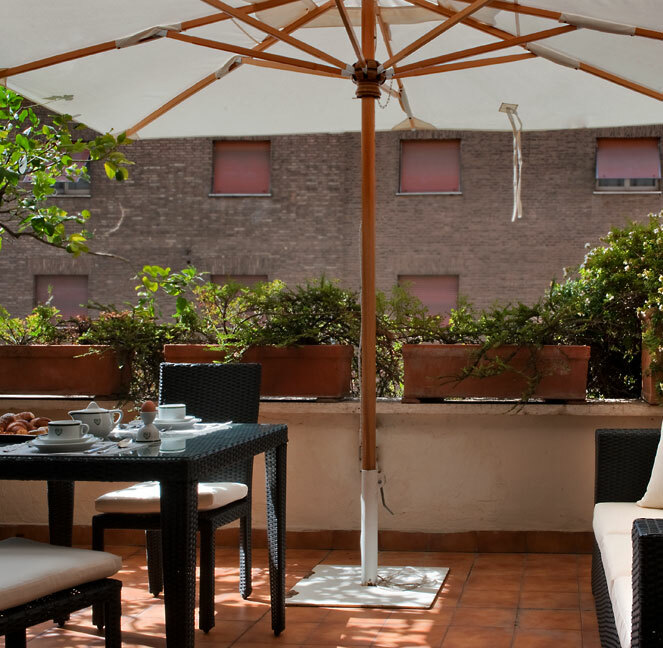 During summer season guests of "La Tradizione" can enjoy the freshness of the internal patio with the famous Roman "Ponentino" a soft wind that refreshes Romans after the hot summer days. Our Conference and Banqueting can host up to 70 guests across three rooms.